Are we losing our way? In an attempt to tackle growing numbers of mountain rescue call-outs by ill-prepared walkers, this summer a team comprised of representatives from the National Trust, Cumbria Constabulary and the Lake District Search and Mountain Rescue Association, questioned all walkers at Wasdale Head as to their preparedness for their journey. Learning more about walkers’ levels of preparation is part of an attempt to ensure the future sustainability of volunteer-run mountain rescue operations, at a time when growing numbers of people depend solely on GPS-based technologies – primarily smartphone apps and in-car sat-nav systems – for everyday navigation. In recent years questions have been asked as to whether over-reliance on these technologies is having a detrimental effect on our innate way-finding ability. In our recent paper for Area, “‘Are we losing our way?’ Navigational aids, socio-sensory way-finding and the spatial awareness of young adults” we report on an experiment designed to explore the impact of different navigational technologies on way-finding ability and sense of place. The experiment responds directly to the 2012 call by Axon, Speake and Crawford in the same journal for geographers to engage more actively with the potentialities at the intersection of evolving navigational technologies and spatial and cartographic literacy. The experiment required participants to navigate between two points in a series of towns unknown to them, using a different navigational aid each time. On one route groups used a GPS compatible unit on a smartphone; on a second route they used a paper Ordnance Survey map; and on the third route they were asked to reach the destination with no navigational aids beyond clues in the built and natural environment and their sense of direction. Following completion of these navigational tasks, participants were individually interviewed about their experience of way-finding using these different methods, and they were asked to draw sketch maps showing as much detail of each route as they could remember. Although all our participants (without exception) claimed that the GPS tool (i.e. a smartphone) was their preferred navigational aid, the routes navigated using it were described overwhelmingly negatively, as “cold” and “boring”, and were characterised by scant recollection of details from the journey, regardless of which route (and town) the GPS was used to navigate. In contrast, the routes navigated using the paper OS map were viewed overwhelmingly positively and were characterised by detailed recollections of the routes, including interactions with people and observations of the natural environment. Despite this, the paper map as a tool was described overwhelmingly negatively, in terms including “not practical”, “out of date” and “hassle”. Our findings raise interesting questions as to how to strike a balance between the convenience, familiarity, and potential of digital navigational tools and those characteristics of non-digital methods which appear to be better attuned to engendering place attentiveness. About the authors: Rebecca Collins is Deputy Head of Department and Senior Lecturer at the Department of Geography and International Development, University of Chester. David McCullough is a Department of Geography and International Development, University of Chester alumnus. This entry was posted in Area and tagged navigation, navigational technology, place, senses, sociality, spatial awareness, way-finding on October 17, 2018 by RGS-IBG Managing Editor: Academic Publications. © Cormac Walsh, Wadden Sea coast, Northern Germany, looking towards Nordstrandischmoor (Hallig island). Coasts are gaining increased attention worldwide as sites of dramatic and disruptive environmental change. Coastal settlements and ecosystems are particularly vulnerable to climate change and sea level rise (Moser et al 2012). Exploitation of marine resources also contributes to coastal change, resulting in subsidence or loss of land at coastal locations, including at Louisiana and the Dutch Wadden Sea (Wernick 2014, Neslen 2017). Despite the evident interweaving of the natural and the social, the ecological, and the political at the coast, coastal geography has long been firmly positioned within the domain of physical geography with comparatively little input from human geographers. Indeed within the social sciences more generally, coastal and marine spaces have tended to be marginalised in favour of land-based narratives of societal development (e.g. Gillis 2012, Peters et al. 2018). Physical, social, economic, and cultural processes come together at the coast, and meanings become enmeshed and intertwined. The power of the sea and the physical evidence of geomorphological change at the coast is a reminder of the materiality of place and the potential for dramatic and disruptive change. But coastal landscapes are also lived spaces, often embodying historical narratives of struggles against the sea, building coastal defences, reclaiming land, and learning to work with the daily and seasonal rhythms of a dynamic and fluid environment. In our recently published Special Section of Area on ‘Cultural Geographies of Coastal Change’ (Walsh & Döring 2018), we bring together diverse perspectives concerned with the cultural dimensions of understanding, interpreting and responding to processes of both environmental and socioeconomic change at the coast. In recognition of the need for a broad spectrum of diverse perspectives, we deliberately write of cultural geographies in the plural. Indeed our understanding of cultural geographies extends beyond the discipline of geography itself, to embrace related endeavours in the environmental humanities (Palsson et al. 2013) and the applied field of spatial planning (McElduff & Ritchie). The papers in the Special Section address issues of place attachment and climate change adaptation at the Wadden Sea coast of Germany and the Netherlands (Döring & Ratter, Van der Vaart et al, Walsh), conflicting perspectives on marine conservation in the Scottish Hebrides (Brennan), questions of land- and seascape designation in the UK (Leyshon) and pathways towards place-based coastal resilience in Ireland, North and South (McElduff and Ritchie). Conceptually, the Special Section explores the concepts of ‘liminality’, ‘metageographies’, and the ‘coast-multiple’ in an effort to grasp the complexity of a multiplicity of ways of knowing the coast, and the potential for coastal places to occupy in-between-spaces of possibility and alterity at the boundary between the land and the sea. We emphasise the need for a reconceptualization of the coast which opens up possibilities for imagining alternative futures, of thinking the coast differently (Leyshon 2018, also Köpsel et al 2017). We thus seek to move beyond established categories of mutually exclusive land and sea spaces, natural and cultural landscapes and fixed, immovable coastlines in favour of a hybrid geography of fluid and dynamic spaces of hybrid nature-culture relations (also Ryan 2011, Satizabal & Batterbury 2017). Such spaces of possibility require inclusive processes of dialogue among a broad range of stakeholders and community interests, proactive, forward-looking leadership and informed input from the social sciences, humanities, and arts (McElduff & Ritchie 2018, van der Vaart et al 2018). It is hoped that the Special Section will provide a point of departure for future engagements with the complex geographies of socio-environmental change at the coast. About the authors: Dr Cormac Walsh is an environmental geographer at Hamburg University, Institute for Geography. He is also co-editor of the recently launched Marine Coastal Cultures research blog. Dr. Martin Döring is an interdisciplinary researcher in the Human Dimensions of Coastal Areas Working Group at the Helmholtz-Zentrum Centrum Geesthacht. Gillis, J. R. 2012. The Human Shore: Seascoasts in History, Chicago: University of Chicago Press. Neslen, A. 2017. Gas grab and global warming could wipe out Wadden Sea heritage site, The Guardian, 16th June 2017. Peters, K., 2010. Future Promises for Contemporary Social and Cultural Geographies of the Sea, Geography Compass, 4, (9), 1260-1272. Wernick, A. 2014. Louisiana’s coastline is disappearing at the rate of a football field an hour, Public Radio International, September 23rd 2014. This entry was posted in Area and tagged coast, Cultural Geography, epistemology, landscape, liminality, metageographies, place attachment on May 24, 2018 by RGS-IBG Managing Editor: Academic Publications. By Tim Hall, University of Winchester, and James D Sidaway, National University of Singapore. US President Donald Trump recently attracted mocking headlines and social media comment from around the world for praising the health care system of a nonexistent African country. During a United Nations speech to African leaders in September 2017, Trump lavished praise on the imaginary nation’s health care system, arguing “Nambia’s health system is increasingly self-sufficient.” After presumably drawing blank looks from the assembled leaders, it was later clarified by the White House that Trump was actually referring to Namibia, although commentators have speculated that he might have just as well been referring to Zambia or Gambia. Donald Trump’s shaky grasp of the geography of Africa suggested he spent little of his time as a student at the University of Pennsylvania with his nose buried in an atlas or geography textbook. Geography textbooks though are far more than just crib sheets of basic geographical knowledge. 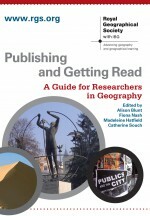 They play important roles in shaping the discipline, student’s world views and the visibility of their authors, themes explored in our recently published Area paper and the subsequent collection on the production and utilisation of geography textbooks, for which it acts as an introduction. Geography textbooks have undoubtedly played key roles in the evolution of the discipline, through the codification and communication of new perspectives and the education of geographers in the making (at school, college and university), for example. However, despite this they have been relatively little discussed within the literature on Geography’s histories. In our paper we mention Dorothy Preece’s (1938) textbook, The foundations of geography, written whilst she was a teacher at Crewe County Secondary School in north west England, which sold around 100,000 copies a year, a figure unimaginable today. Despite this though, it is a text largely forgotten by disciplinary historians. Similarly we point to the key role of Richard Chorley and Peter Haggett’s (1967) Models in Geography in disseminating geography’s quantitative revolution. Recognising changing technologies, pedagogies and modes of publishing now we argue that addressing this lack of critical debate on textbooks in geography is a timely endeavour. The essays in the collection that follow our paper, all of which are authored by experienced textbook authors and editors from the UK, USA, Aotearoa / New Zealand and Singapore, explore these themes in the contexts of their own engagement in the processes of textbook production. The collection offers a series of highly personal perspectives but ones that connect with a range of wider disciplinary themes and debates. Geographical illiteracy is a point picked up in Barney Warf’s paper ‘textbooks in human geography: an American perspective’. The essay was produced prior to Trump’s Nambia gaff. However, Nambia serves to remind us of the enduring importance of geographical knowledge and the vehicles through which it is produced, disseminated and consumed. Geography textbooks have changed radically since Dorothy Preece was writing in the 1930s and continue to evolve today, in an age of online delivery and proliferating fonts of opinion and demands on student attention. They are an enduring part of geography’s history, mirror to its present and will be keys to its future, and as this collection of papers shows, one that continues to deserve serious critical attention. About the authors: Tim Hall is Professor of Interdisciplinary Social Studies and Head of Applied Social Sciences at the University of Winchester and James D Sidaway is Professor of Political Geography at the National University of Singapore. The associated papers are available in Early View, and are free-to-access until Feb 2018. The collection will be published in a issue of Area in 2018. This entry was posted in Area and tagged geography, knowledge production, pedagogy, textbooks, Trump on December 12, 2017 by RGS-IBG Managing Editor: Academic Publications. Does green infrastructure represent a sound investment opportunity? By Steve Cinderby, University of York, UK, and Sue Bagwell, London Metropolitan University, UK. Globally our societies are becoming increasingly urbanised with the United Nations (UN) reporting that already the majority of people live in urban settings with predictions this will rise to 66 per cent by 2050. Historically this has often meant increasingly constructed, grey, environments, however, there are increasing demands to green our cities with the introduction of more plants and trees. Last month London’s Mayor, Sadiq Khan, unveiled plans to make the English capital the world’s first “National Park City” by 2019. With initial funding of £9M the intention is to increase the amount of green space including encouraging the development of more green roofs, green walls and rain gardens. This initiative connects to the UN Sustainable Development goals for cities and the calls for accessible greenspace made in the New Urban Agenda that emerged after the 2016 UN Summit on Future Cities. Whilst some have highlighted the challenges for an existing cityscape like London of introducing more green into the urban fabric alongside demands for housing, businesses and service infrastructure recently published research indicates that the Mayor’s plan could bring not just environmental benefits (reducing surface water flooding, improving air quality, cooling urban heat islands and increasing local wildlife diversity) but also improve the mental health and well-being of Londoner’s and increase the economic vitality of the city. Our newly published Area paper describes the impact of introducing a relatively small number of green infrastructure schemes around Victoria station in London. The findings illustrate that as well as the known environmental returns investing in urban green infrastructure within existing neighbourhoods could also make sound financial sense. The research provides new evidence that city greenery can increase customer footfall particularly for retail and leisure businesses, encouraging visitors to ‘linger-longer’ and potentially ‘spend more’ in a pleasanter environment. In our city workplaces the study found that investing in office greenspace improved staff member’s morale and work satisfaction. Greener workplace setting also seem to encourage staff to adopt more sustainable behaviours including better energy saving and recycling again potentially bringing both environmental and economic benefits. This new evidence indicates that, alongside the London Mayoral investment, the city’s private enterprises should also consider financing the incorporation of more green infrastructure into new building schemes whilst retrofitting green walls and street trees into existing neighbourhoods where possible. These improvements could boost their economic value for retail and desirability for employers. A National Park City investments could not only make environmental sense but could bring sound financial and well-being benefits as well. About the authors: Steve Cinderby is a Senior Researcher at the Stockholm Environment Institute (SEI), University of York. Sue Bagwell is Research Development Manager at the Cities Institute London Metropolitan University. This entry was posted in Area and tagged business, co-benefits, Green Infrastructure, London, National Park City, Urban, Wellbeing on September 5, 2017 by RGS-IBG Managing Editor: Academic Publications.